While you know your expert is tops in their field, a jury only sees them briefly, when your expert witness may come across “witless.” Avoid pitfalls so your witness truly comes across as an expert witness. 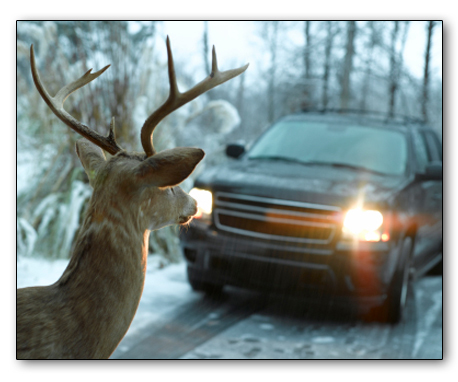 Why do deer freeze in the headlights? Because they are built to see in low light at dawn and dusk, not bright lights. What are your expert’s blind spots? Lawyers often overlook the difference between competence (qualifications) and performance (real-world output). An expert witness may know a subject very well, but how would an observer know? Since there is no direct way to assess it, it is only by observing if that expert “passes the test” of testifying that observers can measure, by inferring, whether the witness possesses the knowledge of an expert witness. There are many real-life examples in which someone may have knowledge, but tests poorly. Does it mean they don’t know? No, but sometimes, only the grade matters. When performance is successful, it reveals competence: “the ability to perform in effective ways on different occasions, including in differing and unexpected contexts” (Black, H. & Wolf, A., Knowledge and Competence. Careers and Occupational Information Centre/HMSO, London, UK., 1990). 3) … have never or rarely testified and are deer in the headlights. While people experienced in a particular field (such as colleagues, competitors or the litigators) might know that a witness is a hack, it may not be apparent to jurors who lack the experience to judge them as critically. Instead, since such witnesses know how not to fall prey to classic cross-examination tactics, they tend to elicit confidence rather than skepticism. The criticism of those truly in the know may undermine the testimony, but go over the heads of the general public or jury for whom the points are too subtle and unfamiliar. It is often only when a hack overdoes it and appears “slick” -- not polished – that they lose jurors’ confidence. Those with just enough experience to be confident without being cocky are in the sweet zone, but are hard to find. They are not absolutist and know when to stand their ground versus when to concede. They pick their battles, don’t play silly word games, and behave similarly on direct and cross examinations. They aren’t know-it-alls. They don’t freeze under attack, offer good examples, and speak in plain language. They aren’t “canned,” but candid. A common mistake litigators tend to make is hiring an expert witness of the third type – one from a rare field with no experience testifying. Because it can be challenging to find an expert in an esoteric field, counsel may be put in the position of choosing someone without experience testifying. Such “experts” know their stuff – but only to those who already know their stuff, too. When they cannot communicate what they know effectively and lay jurors observe them flail when faced with skilled cross examiners, the expertise gets missed, but the flailing doesn’t. What can interfere with performance? When a situational challenge is imposed externally (as opposed, say, imposed by the person himself or herself, e.g., to complete a marathon), there is a greater likelihood it will cause stress and more task-irrelevant ideas due to a perceived loss of control (Lazarus, R.S., 1982, The psychology of stress and coping. In C.D. Spielberger, et al. (Eds. ), Stress and anxiety (Vol.8, pp.23-36). Wash., DC: Hemisphere). Why Consider Competence and Performance? Why do jurors focus on performance over competence? Because that is what they know – actions, not words. Jurors typically lack the expertise to appreciate nuances of the placement of a carbon atom, the DSM IV-TR, or the standard of care, but they know when someone looks nervous or evasive. A witness may be very competent in their field, but lack skill in performance, i.e., be poor at fielding questions and responding properly, yielding an expert that is witless. If their “look” isn’t as good as their book, jurors will miss their points. Conversely, a witness less competent in their field, but a great performer, may be perceived as a better expert witness. Although counsel may spend hours and thousands of client dollars word-smithing an expert’s message, they may miss problems with the messenger – what they communicate through their demeanor which comes across loud and clear to anyone watching from the outside, but not by counsel. 7) Breaking basic procedural rules: asking questions of the cross examiner, speaking over objections, making comments when there is no question pending, etc. 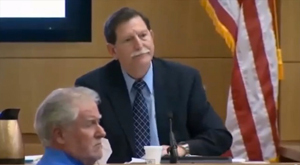 In the recent criminal prosecution of accused murderer Jodi Arias, for example, the defense put forth two “experts,” Dr. Richard Samuels, clinical and forensic psychologist, and Alyce LaViolette, M.S., MFCC, a domestic violence expert. Despite their credentials, possibly attesting to their competence (for Samuels, a Ph.D., licensed Psychologist since 1975, Diplomate and Fellow in various related disciplines; for LaViolette, a 20-page CV, M.S. in psychology and a state license in Marriage, Family and Child Counseling), both came across witless. Why? He was the subject of disciplinary action from the New Jersey Board of Psychological Examiners, a huge red flag. He switched theories midway through his testimony. He was missing crucial materials on the stand because he left them on his desk. He had re-scored test results when they didn’t yield the desired outcome. His work was obviously sloppy. He could not back up his positions with objective, professionally-recognized and standard testing. He was overdue for a haircut. His performance was a failure. 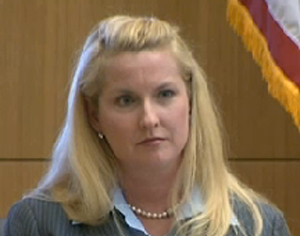 Ms. LaViolette, personable and accessible, lacks a Ph.D. credential (a fact obvious to lay jurors). She acted like what she is – an advocate for abused women – not an unbiased expert. She wouldn’t reply “Yes” or “No” if her life depended on it. She dressed as if she were going to an organic food convention. She attacked the prosecutor, asking if he was angry at her. She made inappropriate impromptu comments, suggesting he needed a” time out” for his aggressive questioning. She didn’t give an inch, even when an inch was obvious. Playing tug of war was unresponsive. She believed, relied on and liked the defendant, an admitted liar. The way she attempted to stand her ground lost ground. She missed the difference between battle and war. In an attempt to be perfect instead of real, her opinions became more unreal. She tried too hard. While her competence has been recognized for decades, her performance failed. These criticisms do not go to the substance of their testimony or qualifications, i.e., competence, but to their performance. She made her points and stood her ground appropriately. She didn’t strive for perfection, which is unreal, but was realistic and thus, real. She has decades less experience than the defense experts, but her performance matched her competence. Was it enough? For hours on end, he droned on in a monotone. Length is not always strength. As Shakespeare said, “brevity is the soul of wit,” so seeing the forest for the trees was a challenge. His “expert” testimony had been restricted or tossed out because of his reliance on a defendant’s testimony without independent verification in other cases. Although he overcame the lack of credentials of LaViolette, and had more gravitas than DeMarte and Samuels, it was too much, too late. He seemed competent, but his performance was lackluster. Finally, the prosecution’s sur-sur-rebuttal witness, Dr. Jill Hayes, licensed clinical, forensic, and neuropsychologist, with expertise in testing, rebutted Dr. Geffner. She asserted that tests are invalid if the person tested lied. 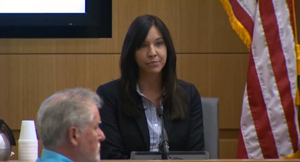 She supported the methods and conclusions of the prosecution, but with more heft in experience than Dr. DeMarte. Her demeanor was assured and balanced, articulate and unflappable. 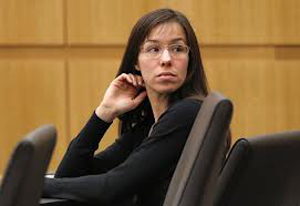 In the end, while no doubt a myriad of factors unrelated to the experts sealed the defendant’s fate, the fancy footwork of the defense experts could not explain away Jodi Arias’ conduct with her convenient amnesia or allegation of being a battered woman who suffered from PTSD. The defense experts’ shifting opinions, lack of objective support, reliance on her for information, and poor performance on the stand did nothing to help her. How to prevent your expert from being witless? 4) Explain how they can maintain control effectively, e.g., through re-direct, making sure they understand the question, avoiding letting others put words in their mouths, waiting for objections and attending to the objection’s coaching, only opining in their area of expertise, how to deflect questions, etc. 5) Dull the sting of cross examination by drilling the expert in mock cross-examinations prior to deposition and trial, especially focused on their weaknesses (Do they guess? Do they stray off campus to answer what they don’t know? If so, ask questions to elicit these behaviors and provide better alternatives). 6) Have someone unfamiliar with the expert do the mock cross so that the witness does not have a false sense of security, doesn’t feel betrayed by his or her own side, and the examiner doesn’t pull their punches in attacking questions. 7) Have the expert reverse roles with their handler to reveal the most dreaded questions and see model responses on how the subject can be handled. This works better than merely “telling” them. 8) If possible, choose an expert with impressive credentials on their surface to the common person (e.g., MIT graduate sounds more impressive than graduate of Bob’s Online College) and jurors may not understand a word they say, but may give higher grades because of the source. 9) If possible, choose a female for a field not stereotypically female-oriented – it will be perceived as better than it is, compared to a male of equal qualifications (due to the contrast effect, making the quality of their testimony exaggerated because it is unexpected, and the equity principle, whereby it is rewarded more). How much does the average juror know about their field? What visual support may help as tutorial material? What will jurors pay attention to in deciding? 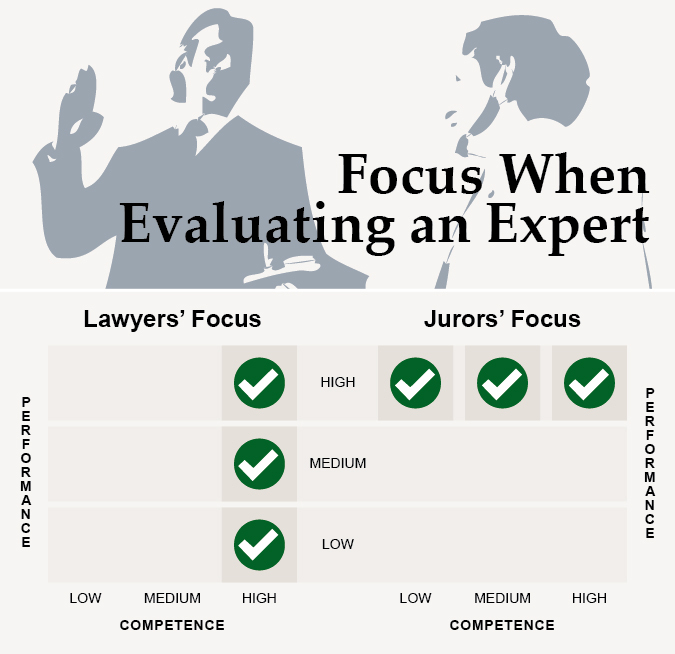 How will the expert draw jurors’ attention to what is most important? What in the expert’s appearance is inconsistent with the stereotype for their profession and how can they match the stereotype better? Do cowboy boots fit jurors’ image of a scientist? 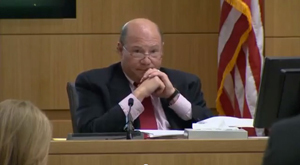 Does long, unkempt hair match jurors’ expectations of an economist? Do spike heels, a lot of makeup and jewelry match jurors’ idea of a medical expert? Assess and prepare your experts considering both competence and performance so you present an expert witness who is not witless.